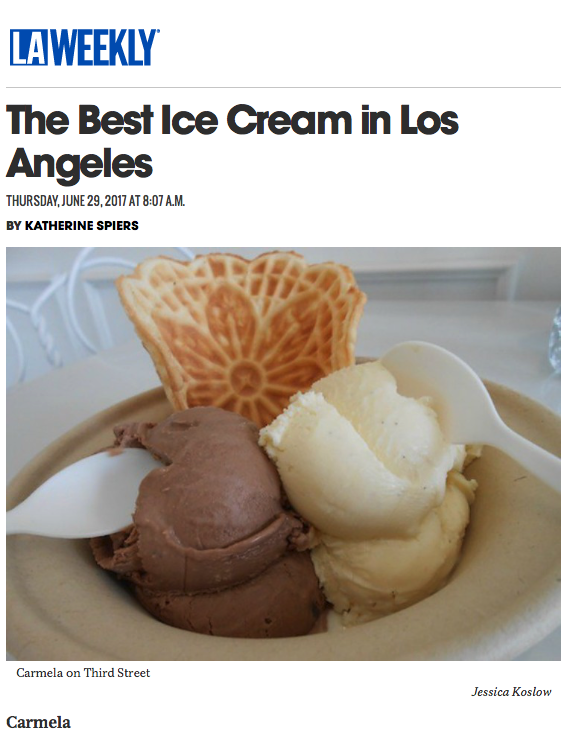 "The shop carries goodies such as cones, toffee and cookies, made in its creamery and original shop in Pasadena. The sorbet flavors, from cucumber to blueberry thyme, follow the seasons. Popular picks include salted caramel, made with homemade caramel, and mint with cacao nib. The secret to the in-demand mint flavor: fresh mint leaves steeped in the milk."